Okay, before you point, laugh, and call me a dork let me explain myself. 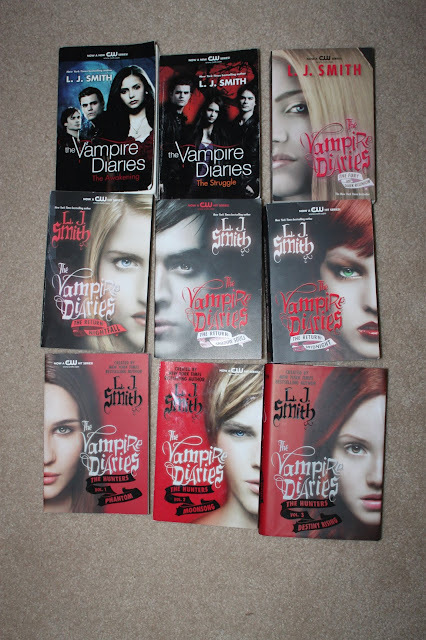 I prefer to read trilogies or series because I like the story to keep going. I am a huge fan of the TV show The Vampire Diaries. 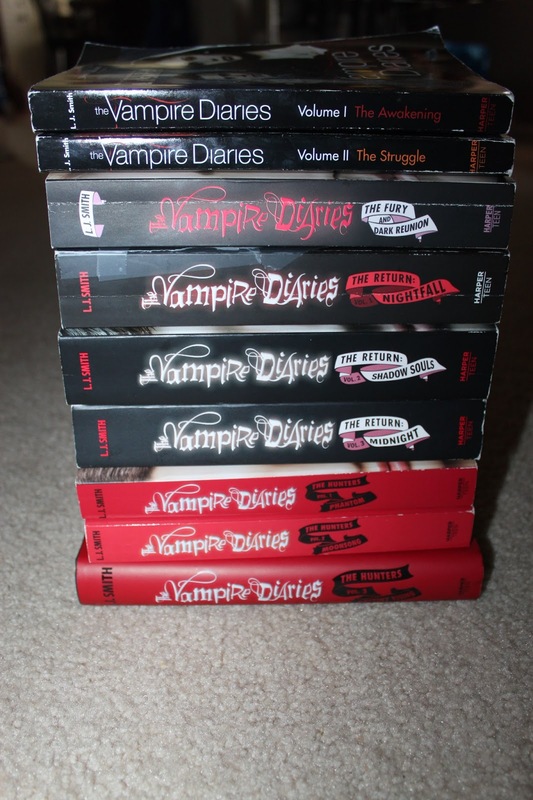 My first reaction was I did not want to read these books because I loved the show so much and didn't want them to ruin it for me. They did end up ruining the show for me but not in the sense that I thought they would. They are NOT like the TV show at all. The plot is VERY different! There are 10 books (book 3 & 4 in one longer book together) and I promise you I was not able to put them down. In fact, I cried during one of them. I'm not talking about regular crying, I'm talking about balling my eyes out type of crying. That was a first for me as I have never gotten so emotional over a book before. Are they cheesy and written for high school kids? YES. Are they weird and have things like dark dimensions, wolfs, and vampires (among other spices)? YES. Is there an epic love story? YES. Do they keep the plot exciting and make you want to start each new book? YES. I'd say this series is great and if you watch the show it's a must read for sure. The last 3 were not my favorite (they were still good), but at that point I was so far in, I couldn't stop! Haven't read the vampire diaries but if you like series, you should definitely read Game of Thrones. I'm on book three and they are awesome!